Please note, a large portion of the source links, plus the idea for this commentary, were sourced from GATA’s latest dispatch regarding the possible appointment of Warsh as the next Fed Chairman. The quote above is from former FOMC board member, Kevin Warsh, who appears to be Trump’s top candidate to assume the Fed’s mantle of manipulation from Janet Yellen. By way of relevant reference, Warsh happens to be the son-in-law of Ronald Lauder, who is a good friend of Trump’s. He is also a former Steering Committee member of the Bilderberg Group. GATA has published a summary reprise of direct evidence from previous written admissions by Warsh the the Fed actively manages financial asset prices, “including bolstering the share price of public companies” (from link above). In addition to stocks, Warsh admitted in the same essay that, “The Fed seeks to fix interest rates and control foreign-exchange rates simultaneously” (same link above). This task is impossible without suppressing the price of gold, something which began in earnest in 1974 when, under the direction of then Secretary of State, Henry Kissinger, paper gold futures contracts were introduced to the U.S. capital markets. This memo, written by the Deputy assistant Secretary of State for International Finance and Development, was sent to Kissinger and Paul Volcker in March 1974: Gold and the Monetary System: Potential U.S.-EC Conflict (note: the source-link is from GATA – it was discovered in the State Department archives by Goldmoney’s John Butler). The nature of discussions after that memo, the minutes of which are now publicly available, center around the fact that several European Governments were interested in re-introducing gold into the global monetary system. This movement was in direct conflict with the interests of U.S. elitists and banking aristocrats, as U.S. had successfully established the petro-dollar as the reserve currency. In 2009 GATA sent a Freedom Of Information Act request to the Fed in an attempt to get access to documents involving the Fed’s use of gold swaps (this letter written by Warsh confirms the existence of the use of gold swaps). Warsh, who was the FOMC’s “liaison” between the Fed and Wall Street, wrote a letter back to GATA denying the request. The fact that Warsh has openly acknowledged that the Fed manipulates assets, including an implicit admission that the Fed seeks to suppress the price of gold, might give some in the gold community some hope that Warsh, if appointed to the Chair of the Fed, might reign in the Fed’s over interference in the financial markets. On the contrary, I believe this makes him a bigger threat to democracy, capitalism and freedom than any of his recent predecessors. Warsh is better “pedigree’d” and politically connected than either Bernanke or Yellen. His high level involvement in the Bilderberg Group ties him directly to the individual aristocrats who are considered to be the most financially and politically powerful in the western world. Without a doubt he has far more profound understanding of the significance of gold as a monetary asset than any modern Federal Reserve FOMC member except, perhaps, Alan Greenspan. The good news for the gold investing community is that it becomes increasingly evident that China, together with Russia and several other eastern bloc countries, is working to remove the dollar as the reserve currency and reintroduce gold into the global monetary system. A contact and subscriber to my Mining Stock Journal who happens to live and work in Shanghai has sent further evidence (and here) that China is working toward launching a gold-backed yuan oil futures contract. This will be a complete game-changer. It’s also likely why the western Central Banks have doubled their efforts to keep the price of suppressed over the last 6 weeks. My contact believes there’s a possibility that the contract will be rolled out after Xi is “re-elected” toward the end of October (the Party Congress convenes after the week-long National Holiday observance). My personal view is that China will work more gradually to roll out a futures contract that effectively “disconnects” the petro-dollar and the dollar’s reserve status in order to minimize the adverse, albeit temporary, consequences of this. The first iteration could be a simple yuan-denominated contract to get the system working. The foremost consequence of this, of course, will be the massive transfer of wealth and power from the United States and its European vassal countries to the emerging global power in the eastern hemisphere. 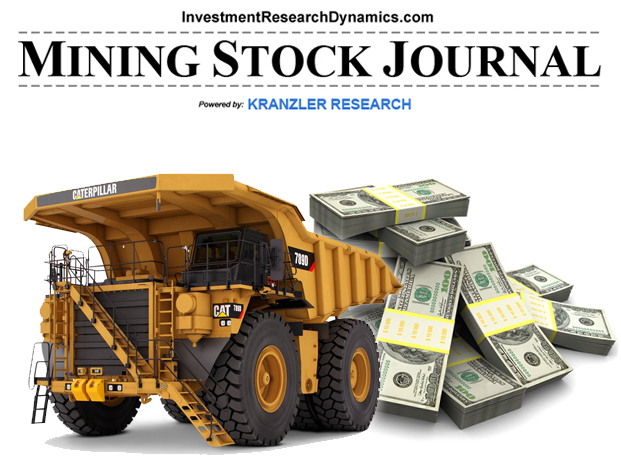 Is The Pullback In Gold Over? The price of gold ran up 20% since the beginning of 2016 through early March. In response to “overbought” readings in the popular momentum indicators, the superficial gold commentators become short term bearish. Additionally, based on what appeared too be a heavy “off-sides” in the bullion bank net short position vs. the hedge fund net long position in Comex gold futures, per the Commitment of Traders report, the “big price correction” side of the ship deck became heavily mobbed with short-term timing forecasts. About two weeks ago, I decided to roll up my shirt sleeves and dirty up my hands with the COT data compiled by my business partner going back to early 2005. What I found in terms the current net short / net long positioning between the bullion banks and the hedge funds might surprise a lot of observers. 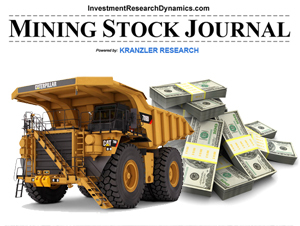 Of course, I presented the information to the subscribers of my Mining Stock Journal in the March 17th issue (along with a relatively undiscovered “de-risked” junior mining stock idea with substantial upside, risk-adjusted). As it turns out, while the net short position of the criminal banks is above the average net short position from 2005 to present, it’s not even remotely close to the net short position historically that has signaled an imminent price-smash operation. Currently the net short position is 200k contracts. But the highest that net short since 2005 has been is well over 300k. The net short position was well over 200k for large portions of 2010. In other words, while there is some concern that the cartel is set up to force the price of gold lower by bombarding the Comex computer system with paper gold detonators, the comparative historical statistics suggest that gold has lot more upside and the open interest has a lot of room to expand before the cartel is in a position to throttle gold lower. As you can see in the graph above, gold has nearly pulled back to its 50 dma (dark blue line) and the momentum indicators (RSI, MACD) have moved from “overbought” to a neutral position. The RSI may be actually be turning back up (green box). As we’ve seen with official intervention in all markets, it’s nearly impossible to forecast directional moves with any degree of accuracy. However, there’s a case to be made that the cartel is having problems forcing the price of gold lower. On several occasions in the last two weeks, gold has been slammed in overnight trading only to snap-back. Monday was a prime example, as gold was smacked hard for $10 down to $1210 in Asian trading but bounced back to close nearly unchanged from last Thursday’s close of $1221. The fact that Indian jewelers are still on strike and thereby choking off Indian imports makes gold’s resilience even more remarkable. At some point, India will have to start importing heavily in order to facilitate seasonal, festival-related gold buying in May. 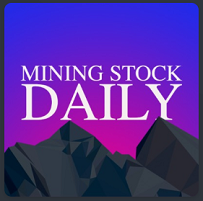 Even more interesting is the behavior of the mining stocks. The HUI index ran up 83% from Jan 19 to March 16. A price correction had to be expected. While it looks like the miners are still vulnerable to a bigger price decline than the current 7% pullback, don’t forget that the HUI more than doubled between late October and December 31st in 2008. I really don’t like going too far “off the rails” in looking for explanations to occurrences that are completely dislocated from reality. An example of an occurrence that is entirely disconnected from reality is the 300:1 paper gold to deliverable gold ratio on the Comex. The only explanation for that is that entities operating the Comex are implementing extreme measures to limit the upward movement of the price of gold. How can there be any other explanation when there is no other futures market in the history of the world in which the ratio of the paper futures contracts outstanding were 300x greater than the amount of the underlying physical commodity available for delivery into those markets. Try this exercise: Imagine where the price of gold would be if gold futures trading were removed from the equation. Too be sure, it would reduce the number of hedge funds involved in trading the gold market via futures. But the market would be left to find a market clearing price based on the actual amount of physical gold available for delivery and the amount of gold being demanded by buyers for actual delivery. Occasionally an event occurs in the gold market which points to the extreme degree of artificiality imposed on the market. It’s a variable that occurs outside of the control of the banks and Central Banks who are highly motivated to keep a lid on the price of gold. This event is known as backwardation. Backwardation occurs in a futures market when the spot price of the commodity – in this case gold – exceeds the futures price. For a lot of technical reasons, futures markets should almost never experience backwardation except in extreme circumstances. If you can sell your gold at the spot price and buy a futures contract to “guarantee” the delivery of the gold you sold in the future at a lower price than what you get paid today to sell at spot, you’ll do that trade all day long until you run our of gold to sell. It’s free money – also known as arbitrage. Arbitrage opportunities should quickly remove backwardation from any futures market. Only in the gold market it’s not free money. When gold goes into backwardation it’s because investors who have gold are not willing to engage in “free money” arbitrage because are unwilling to risk the possibility that their futures counterparty will be unable to deliver gold in the future. In other words they don’t trust the future availability of physical gold. The risk of delivery default by the counterparty removes the “free” aspect of arbitrage from gold market backwardation. Today when the phony employment report hit the tape – at the exact moment – 10,800 December futures hit the Comex in the first minute. This drove the futures price down nearly $20. (click on image to enlarge). This is 1.8 million ounces of paper gold. Yesterday’s Comex vault report shows that there were only 151.3k ozs of gold reported to be available to deliver into the December contract. This is manipulation in the extreme. Without getting into the “gory” details of futures trading terminology, this graph shows what happened between the spot price of gold and the futures price of gold. The red line represents the backwardation in the market that occurred when the futures prices were slammed at 8:30 EST. It represents the annualized rate of return you would earn if you sold your gold in the spot market and bought December futures to replace the gold you sold. This of course assumes that you actually receive delivery of the gold. Another way to think about the backwardation that occurred today in the futures market is that the spot market did not “believe” that the big hit in the futures market when the employment report hit the tape had any basis reality other than that it was a massive paper manipulation operation. We know this because the spot market price did not adjust accordingly when the futures price was smashed. The graph above reflects the backwardation that occurred in the Comex futures market. Backwardation in the London LMBA “physical bullion” market has been persistent since 2013. Prior to 2013, backwardation was an extremely rare occurrence in the gold market. It happened briefly in 2000/2001 – when the 20 year bear market in gold ended – and it occurred briefly in 2008, just before gold began a run from $700 to $1900. The fact backwardation in London has been occurring with persistent frequency and lingering for extended periods of time reflects the extreme “disconnect” between the paper gold and physical gold markets. It reflects a gold market in which the price is being kept artificially low with paper gold because backwardation would only occur when demand for physical gold now is greater than the promised supply of that gold in the future. Several market indicators are now signalling the amount of intensity being exerted by the elitists to keep the entire global financial system from collapsing. Negative rates in the European sovereign yield curves which extend out several years now; the high volatility in the stock markets; the growing divergence between high yield bond prices – which are quasi-equit – and the S&P 500; the negative 10-yr interest rate swap spread; the very large and very frequent Fed reverse repos; and, of course, the backwardation in the gold futures market, which directly reflects the amount of manipulation required to keep the price capped. There’s no telling how long this fraud can last, but there will be a lot of people who wished that they had loaded on the Wall Street Journal’s “Pet Rock” when the price was low because at some point acquiring possession of physical gold and going to be extremely difficult and expensive. The following commentary is just in case anyone was wondering about the existence of “backwardation” on the LBMA, which indicates that the immediate and near-term supply of gold (or silver) is extremely tight. Backwardation occurs when the spot price of gold is above the future or forward price of gold. It means entities that need or want gold immediately are willing to pay more now for gold rather than buy a futures contract or LBMA forward at a lower price and wait for a delivery promised at a future date. Conversely, it means that current holders of gold are unwilling or less willing to sell their gold now and buy a future/forward at a lower price. They are unwilling to risk the possibility that they may not receive their gold at that future date. In its essence, backwardation means that investors prefer physical gold over cash. It also reflects a distrust of the ability of a seller of futures/forwards to deliver gold at the pre-specified date. But the GOFO rate is an even better indicator of backwardation and scarcity of immediate supply of gold. GOFO is probably the “purest” form of measuring the degree to which shortages exist because, unlike leasing, futures and forwards, the entity borrowing the gold from the lender has to put up full cash collateral. It tells you that immediately available gold is not around and it reflects the fact the borrower is willing to not only pay interest on the gold borrowed (like leasing) BUT is willing to collateralize the valued of the loan 100% with cash. You’ll note that the GOFO rates are negative out to three months. This tells us there are shortages and expected shortages of available gold out to three months. The higher rate for 1 week relative to 3 months measures the relative tightness of the market but it also tells us the market is pricing in the probability that gold “might” become more readily available in 3 months. Take care of the problem now and worry about the future in the future. You’ll also note that from September 22 to September 23 the GOFO curve became more negative. This indicates that the market is growing even tighter. Please note: did not say that wholesale gold is not available in London. But the GOFO rate tells us that the market is not only willing to pay a price to get its hands on gold now – the negative GOFO rate – but the market is also willing to collateralize that gold loan with cash. The negative GOFO rate, in other words, reflects slight hints of desperation. I would suggest that today’s $23 move up in the price of gold on Comex options expiry day – an event on which gold is usually slammed hard in the paper market – is a direct reflection of the growing scarcity of immediately available “wholesale” gold bars which can be purchased on the global market. As you can see by the Zeal chart – Zeallc.com LINK – the shorting of gold futures has risen to 200K contracts, which is at least a 16 year high. While I realize that this is only one component of the manipulation of the gold price, I would like to follow it more closely. Do you know where I can get the most recent data on gold shorts? When I look at this – COT LINK – it appears the 200K number comes from the commercial shorts only. But why would Zeal only focus on the commercial shorts and not the net position? When I look at this chart – Gold futures COT chart – I’m very confused as to what I should be paying attention to. 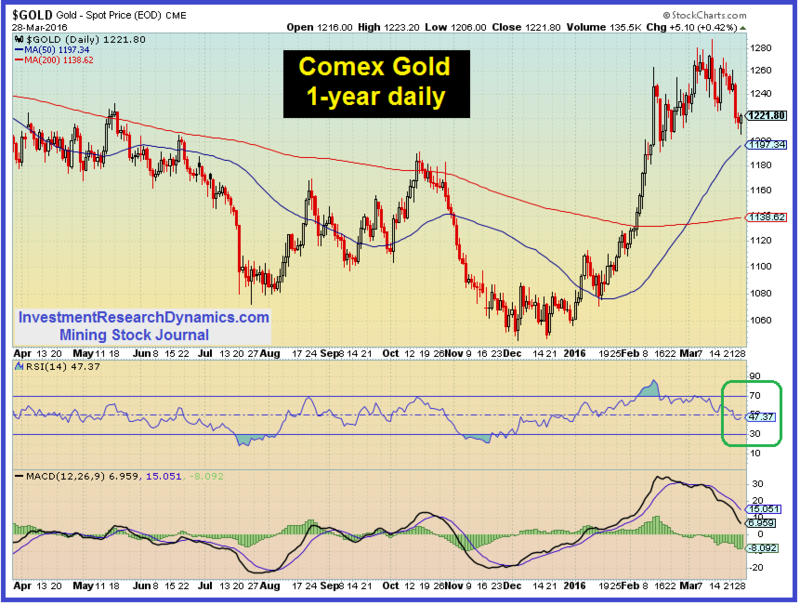 What would you be paying attention to when looking to see what the trends are on the Comex? Any suggestions are appreciated. That report is updated for gold/silver around 10:00 a.m. every day, reflecting the previous day’s trade settlements. It does not show which trading categories bought or sold, just the overall changes in open interest. The shorting of gold futures is the primary “visible” component of manipulation. The other components – OTC derivatives, leases and hypothecation are all behind the scenes, hidden from sight and it’s impossible to track those activities. I believe that the more insidious exertion of manipulation occurs in those activities and that’s why it’s hidden from public view. Adam Hamilton is behind the times. Historically the commercial gross short position in gold and silver moved inversely with the price. When the shorts were high, the price had been manipulated lower. Then the commercials would reverse it by covering their shorts at a big profit, their gross short position would decline significantly and the short covering would drive the price higher. The managed money “hedge funds” would take the other side and always lose money. NOW the managed money – via algorithm-driven HFT trading – seems to have begun to piggy-back the the commercial selling momentum. That’s why now we are seeing large managed money shorts when the price is going lower. To be honest with you, there’s so much fraud and corruption going on in the reporting of all of this information that it’s really pointless spending the time collecting the data, analyzing it and trying to understand it. JPM was fined recently by the CFTF (a small, meaningless $650k fine) for stuffing commercial trade tickets into the managed money account bucket. I guarantee you they still are doing this. Also, there’s so may “eyeballs” now vs. 10 years ago looking at it that it’s largely removed any value from the information content (and that content is subject to high degrees of reporting fraud anyway). People like Hamilton and Ted Butler make a lot of money selling newsletters analzying the COT data, so they will defend the value of doing so and the veracity of the data to the bitter end. But the bottom line is that I wouldn’t spend much time trying to figure out what’s going by looking at the COT and open interest numbers. It’s become a waste of time. I no longer put much energy in this endeavor, after having spend the better part of the last 15 years looking at the numbers religiously. I now briefly scan the COT weekly and o/i numbers daily just out of intellectual curiosity to see where they stand and to confirm every week that my view on what I just laid out above is correct. It is correct and will remain correct until the system collapses. “Edward Bernays was Sigmund Freud’s nephew. He believed that the population had to be manipulated in a democracy to keep order. As I mentioned yesterday, Bernays was instrumental in getting women to smoke for his cigarette company client and to get the American people to support a CIA overthrow of a Guatemalan government that was uncooperative with United Fruit Company. Bernays uses the lowest instincts of humans and appeals to those “animal spirits” over their better judgement to influence mass viewpoints.” This summary of the roots of modern U.S. propaganda techniques was sent to me by Jay Taylor, LINK. Josef Goebbels implemented Bernays’ theories and techniques in crafting the infamous Nazi Germany propaganda machine. As Naom Chomsky chronicles in his preface to Bernays’ book, “Propaganda,” the U.S. Government and U.S. corporations hired Bernays in late 1920’s in order to utilize his techniques on the American public. The rest, as they say, is history…anyone remember 9/11? The anti-gold propaganda took on extraordinary proportions last week as a prelude to Sunday nights vicious paper raid on the price of gold. The media’s anti-gold media terrorism culminated with this silly, farcical article entitled, “Let’s Be Honest About Gold: It’s a Pet Rock.” Perhaps the most absurdly misleading article ever written about gold. Paul Craig Roberts was at one time an editor and columnist for the Wall St. Journal. He told me yesterday that he hasn’t been able to pick the WSJ to read for many years because of the high degree of fraudulent propaganda it now publishes. I bet most of you were not aware that the WSJ is owned by the same propagandist who owns Fox News – Rupert Murdoch. It was also around December that I started writing analysis of the economic data which showed that the U.S. economy was starting to hit a wall. The most obvious signal was the fact that retail sales declined .9% in the month of December before the effect of inflation is removed. I am convinced that the effort to push down the price of gold, and the corresponding media effort to publish highly misleading and negative reports about gold is directly related to an effort to cover-up the fact that the U.S. is systemically starting to collapse. The elitists running the system know better than any of us what is really going on in the real economy as they have access to the unmanipulated, raw data – something to which they go to great lengths to prevent we plebeians from seeing. The greatest amount of effort to cover up the truth about what is happening beneath the surface headlines is the effort being exerted to push the price of gold lower. The truth is that the U.S. nothing a but gigantic bloated, debt-addicted Ponzi scheme that is quickly losing its global economic and military hegemony while the U.S. elitists steal everything in sight from the middle class. If gold were allowed to trade freely, it would be priced at a significantly higher level than where it is now. The problem is that a rising price of gold would signal to a large portion of the population that something is drastically wrong with the U.S. financial, economic and political system. As you can see, there was a high correlation between the directional movement in the price of gold and the growth in the size of the Fed’s balance sheet from “QE” (let’s be honest, “QE” is just a politically correct term for “money printing”). However, and this is a key point, I would assert with confidence that, in fact, the price of gold began to rise at more rapid rate than the rise in the Fed’s balance sheet because of the leveraging effect of the high-powered banking reserves created by QE. In other words, every dollar printed enabled banks to extend leverage which has the unmitigated affect of creating even more money (most of this leverage has gone into the stock and bond markets). Why? Because every dollar of bank reserve “equity” can be leveraged in the form of debt. Debt behaves like money until it is repaid, which means debt issuance has the outright effect of increasing the money supply. This is the fundamental principle underpinning “fractional reserve” banking. Having said that, you can also see where the price of gold is pushed below the growth in the Fed’s balance sheet. This is the unmitigated, unequivocal mark of outright official intervention in the gold market. See my post yesterday for one of the primary ways in which this is implemented – LINK. In one sense, the U.S. Government does not have a choice other than make an attempt to keep a lid on the price of gold in order to perpetuate the fraud it has created since 1971. I said about 12 years ago that the elitists who control this country will hold up the system with printed money until they’ve swept every last crumb of middle class wealth off the table and into their own pockets. If they were unable to control the price of gold, their scheme would fail. It will ultimately fail anyway, as history has already spoken on this matter, but many of them will manage to escape this country with a significant amount of stolen wealth. In fact, I would bet my last nickel that many of them, like Warren Buffet, the Rockefeller clan and the big banks, for instance, have amassed a large amount of gold that is being safekept in some remote area of the globe. Certainly not in a U.S./UK/EU bank or Central Bank vault. We know what happens to gold that disappears down those rabbit holes. At some point this scheme to control the price of gold will fail – badly. At that point it will be too late for most people to do anything about it because the price will shoot up vertically, in step-function. Similar to the price of movement of the tech stocks that are enjoying the collateral affects of the Fed’s money bubble. I will be making my first appearance on Jay Taylor’s “Turning Hard Times Into Good Times” internet radio show – Voice of America – on Tuesday, July 21 at 3:25 p.m. EST/2:25 CST/12:25 PST. You can access the live link or the podcast on demand here: Jay Taylor/Voice of America. The Fed is nothing but a mafia organization that took control of the United States starting in 1913 (Rory Hall, The Daily Coin). In sheer defiance of all free market principles, the paper gold open interest on the Comex continues to move inversely to the price. Yesterday the open interest in fraudulent paper gold futures open interest spiked up another 8,056 contracts to 470,720 contracts. This added another 800,560 – 25.1 tonnes – ounces of paper gold to the Comex open interest, while the amount of gold “received” into Comex vaults increased by only 35,107 ozs. Recall that Germany is trying to get back just 300 tonnes of gold from the Fed but has to wait seven years for this to happen. But the Fed, through its agent bullion banks, can create more than 300 tonnes of paper gold in just one week (remember Bernanke’s magical electronic printing press). Why won’t Germany just agree to hold paper gold? Based on the business activity of the Comex, paper gold is perfect substitute for real gold. Angela? Wolfgang? Jens (Weidmann, head of the Bundesbank)? The amount of fraudulent paper gold created by the banks yesterday is 165% of the total amount of gold that is being reported as “registered,” or available to be delivered. No other commodity in the history of the world is allowed to operate with kind of paper to physical ratio. The entire U.S. financial and economic system is nothing but one enormous fraudulent Ponzi scheme enabled by the complete takeover of the U.S. Government by corporate and banking interests (see this podcast with John Titus on the Shadow of Truth for direct proof of my assertion). The Comex is ultimate symbol of complete fraud and corruption that has completely engulfed the system. Historically the level of open interest in gold and the price of gold have been highly correlated. The last time the paper gold futures interest was as high as it is now was November 27, 2012. The price of gold was $1741 per ounce. The only conclusion that can be drawn is that the Federal Reserve, likely on orders from the BIS, is going to try and suffocate the price of gold. The unintended consequence is the enormous drainage of gold from western vaults into the eastern hemisphere. I suspect the bullion banks themselves are on the receiving end of that gold. How many times per week do you scratch head at some Marketwatch or Bloomberg or CNBC news headline which connects a non-sequitur news item with the reason behind a market move? Today at 8:55 the dollar dropped like it had a lead weight around its neck. Gold started moving higher much earlier than the dollar 2:00 a.m EST. Of course, Bloomberg News attributed the move in the dollar to the reports that Greece might be saved and the euro spiking higher. It also connected the move up in gold to the dollar plunge. But when you look at the movements in both gold and the dollar, you can see that Bloomberg’s reasoning for gold moving higher is – well, for lack of a better term, an idiotic non-sequitur. New developments on “Grexit” have had no meaningful impact on the movement of gold during this whole Greek tragicomedy theatrical show. And as you can see from the graphs above, there was zero correlation between the movements of gold and the dollar overnight. You’ll note the yellow circles I placed around some of the candlesticks in the graph on the right. As you can see, those particular 10-minute bars have unusually long “wicks” to the upside and the downside. Those “wick” denote both panic buying and selling, most likely (as in “100%”) triggered by Fed/bank and hedge fund computer programs. Those particular candlesticks with long “wicks” reflect the fight going on between the official western sovereign forces trying to keep a lid on the price of gold and long side of the gold market. 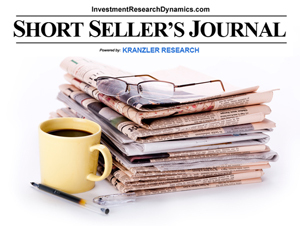 The candlesticks reflect “unnatural” energy being exerted in the paper gold market. I would further hazard to offer the view that the unmistakable volatility in paper gold trading reflects the dwindling supply of physical gold in western vaults that can be used to deliver into the fraudulently conveyed paper claims being issued on the Comex and the LBMA. Minus scrap recycling, the balance of the gold being consumed by the rest of the world has to be coming from Central Bank vaults and from the GLD Trust – the latter of which has dis-hoarded about 60 tonnes of gold since February despite the fact that the price of gold has been rising. The other point of evidence is the situation developing on the Comex. Again, I’m not forecasting a short-squeeze this month in Comex gold. However, as of yesterday, there’s still 5,088 open June contracts – that’s 508k ozs vs. 370k “registered” ozs as of last night. There’s no reason for the bullion banks to delay delivery notices unless they are going to try and shake out the standing longs in order to avoid the pressure of coming up with enough gold to deliver. I would thus suggest that unusual amount of gold volatility we are seeing yesterday and today – and the volatility does not crank up until after the Asian physical markets are closed and the London/NYC phony paper markets are in full swing – is the unequivocal signal the paper purveyors of gold are starting to feel a lot more pressure from the Asian demand for physical gold. Indeed, the sharks are running out of food.